1st- Base Chakra- Red Jasper- Renews connection to the earth, grounding, protection, and balance. 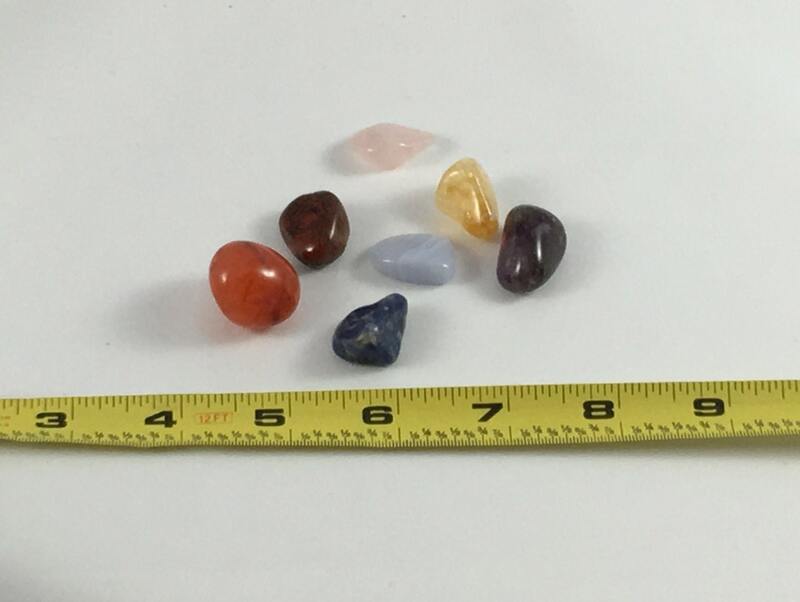 2nd- Sacral Chakra- Carnelian- Boosts personal power and self-esteem. Enhances concentration and creativity. 3rd- Solar Plexus Chakra- Citrine- Helps one achieve their goals. Stone of confidence, abundance, and energy. 4th- Heat Chakra- Rose Quartz- Stone of love and infinite peace. Purifies and opens the heart on all levels, deep inner healing and self-love. Comforts grief. 5th- Throat Chakra- Blue Lace Agate- Promotes communication, clarity, and self-expression. Helps those who have difficulty expressing themselves due to fear of judgement and self-doubt. 6th- Third Eye Chakra- Sodalite- Unites logic with intuition. Instills a drive for truth and helps you to remain true to yourself and your beliefs. 7th- Crown Chakra- Amethyst- Extremely powerful and protective purification stone with a high spiritual vibration. Helps one to release addictions of all kinds, and encourages inner peace. Excellent for sleep and meditation. 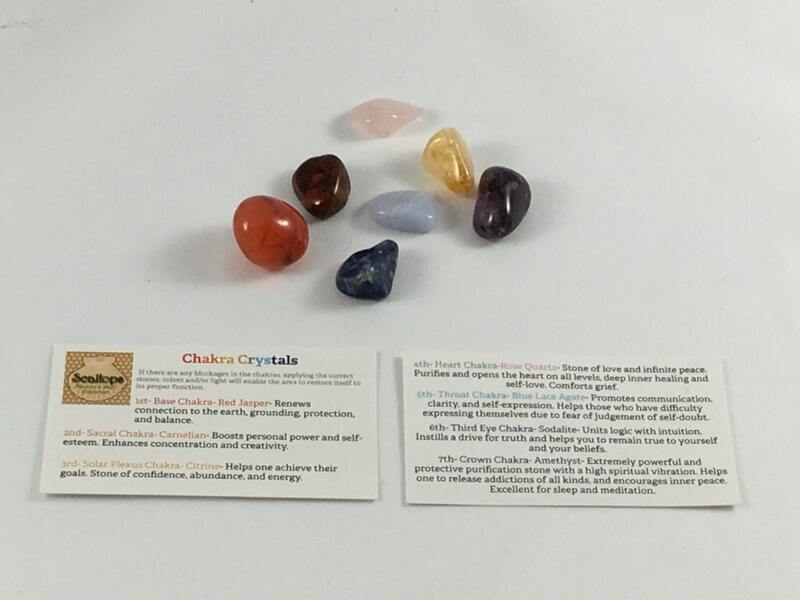 ❥ This listing is for chakra healing kit (7 tumbled stones), handpicked for you by me!